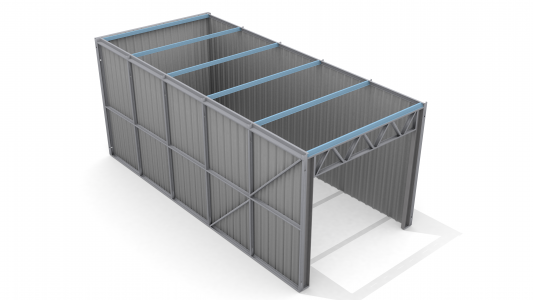 By using a the panel frame system and mounting roof purlins flush with the frame, less material is needed to seal each module from its neighbours saving upfront cost of materials and saving time previously spent installing flashings during construction. 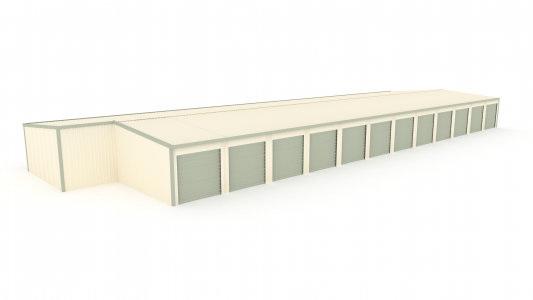 Wall panel height can be adjusted for undulating land allowing for uniform height. 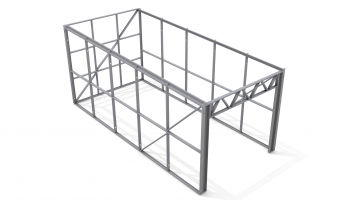 Each module consists of 3 stud frame walls which are tek screwed together. 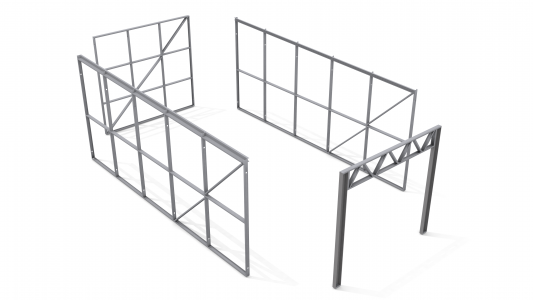 A stud frame head beam is used in between the C-section jambs for easy roller door installation. 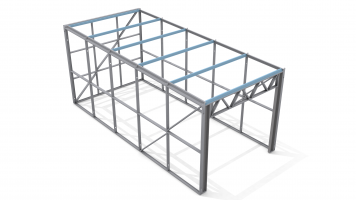 Roof purlins are mounted in a nesting channel so that they sit flush with the roofline to seal each module. Half of the modules are lined with steel cladding. Modules are added until the required size is achieved. 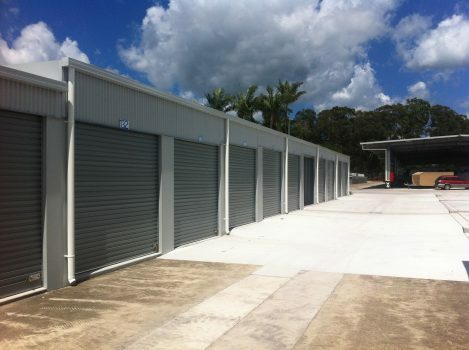 External cladding, flashings and roller doors are installed completing the installation.